I created in SharePoint online an Issue library. The Enduser will fill out the form. But if the Enduser want to add an comment he has to edit the issue. In this edit-form I want greyed out all other field. Is this possible? Do the following steps if you are using OOTB edit form, else you can still use the script, but you need to modify the selectors. Open the Issue Tracking Edit form. From Gear Icon, click on Edit Page. Add a Script Editor Web part to the page. (From Group select Media and Content). Put the below script in script editor form. Thats it. You are done here. When user will edit form it will like like this. Not the answer you're looking for? Browse other questions tagged sharepoint-online edit-form issue-tracking or ask your own question. 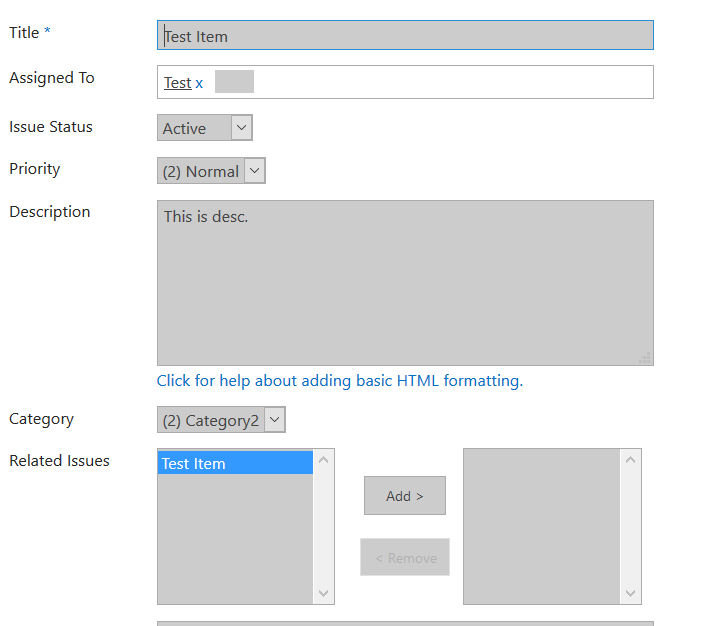 Can I edit only a particular column in a read only View in sharepoint 2013?